Opencart is famous shopping cart solution.Opencart installation takes less than five minutes to complete. 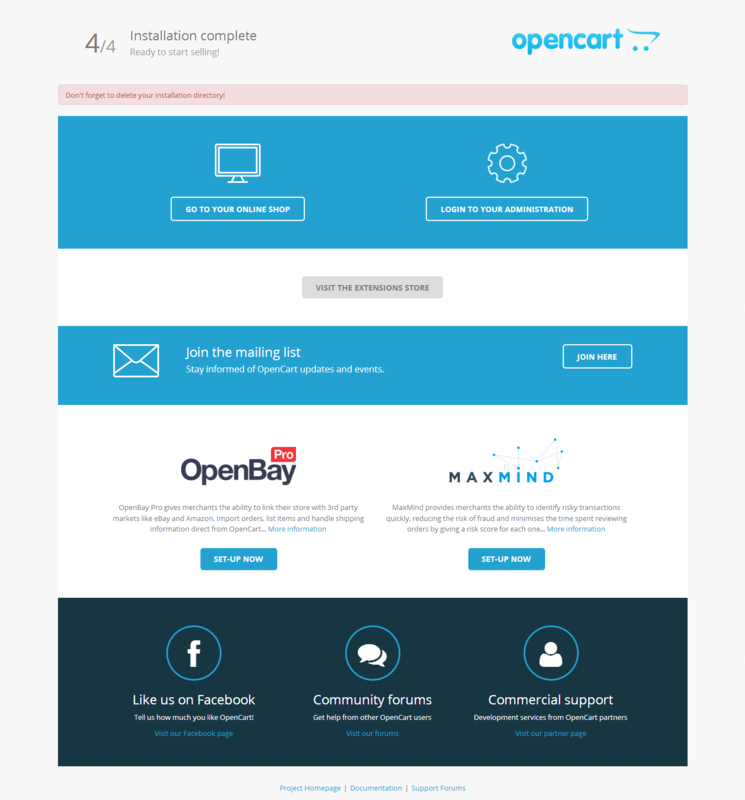 We will use following step to install opencart on localhost.We are assuming that you already have xampp or wampp in your machine. Now create "opencart" folder and unzip the downloaded zip file. Now type following url in browser. Before proceeding we need to rename two "config-dist.php" files to config.php.Location of file is given below. 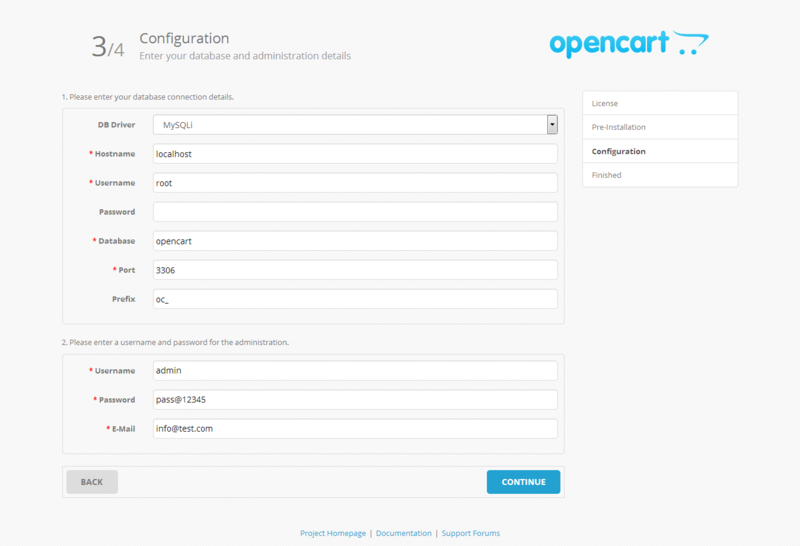 here is opencart is working directory. Replace Database Name with the name of your database in mycase it is opencart. Replace User Name with "root" and leave "Password",Also enter admin UserName, Password and Email. 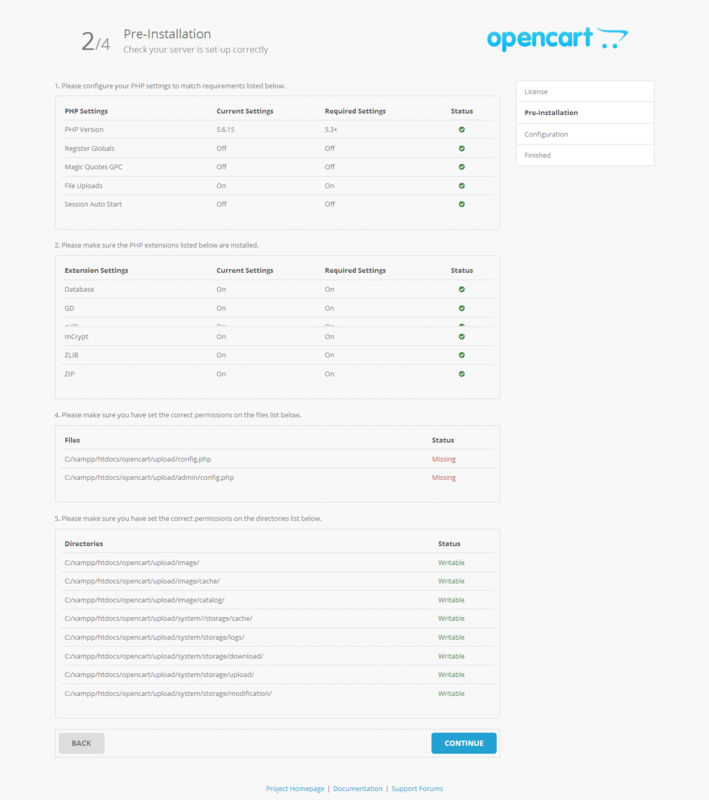 Congratulation Opencart installation on localhost is now completed.